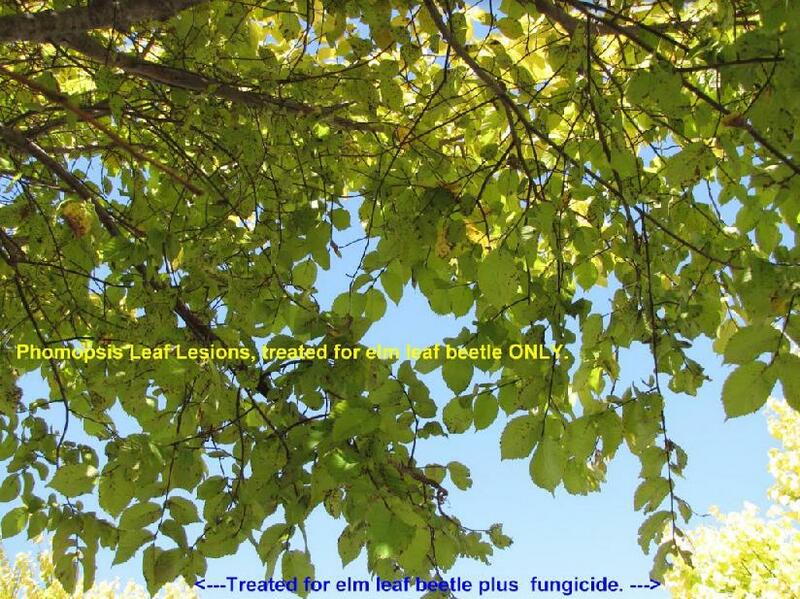 Elmsavers incorporates elm leaf beetle and fruit tree borer treatments with fungicides that control the unsightly fungal disease known as Elm Leaf Spot. 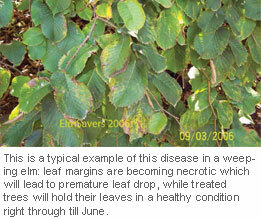 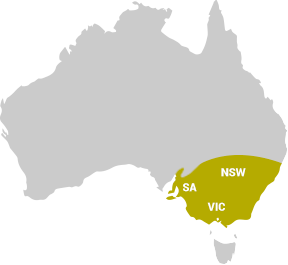 The disease is now very wide spread, humid summers have favoured its rapid spread from an isolated disease to one which is found where all elms grow. 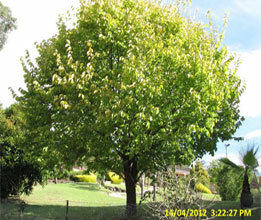 The problem has become evident from late summer onwards causing premature leaf drop and ruined foliage. 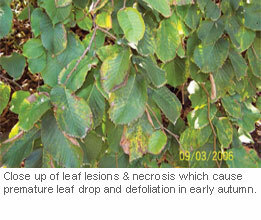 This disease is also associated with Phomopsis as a complex. 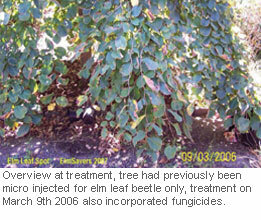 Both are controlled by our treatment ..
Elmsavers is the first and only company to offer a tree injection treatment that covers all three disorders. 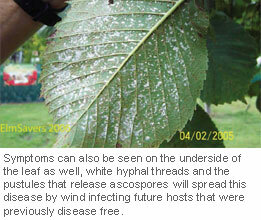 Our treatment is guaranteed for two years against elm leaf beetle-fruit tree borer plus elm leaf spot. 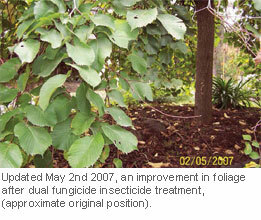 Golden elms will hold their leaves and retain a full canopy till June, this tree had been treated by us with insecticide only on May 7th 2009, re treated on May 3rd 2011 with an insecticide-fungicidal formulation, partial defoliation started in the first week of February, update on right shows no lesions or leaf drop indicating diseases status. 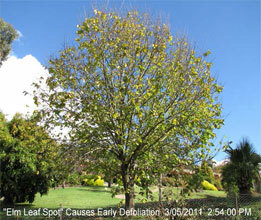 Phomopsis leaf lesion, treated for elm leaf beetle only. 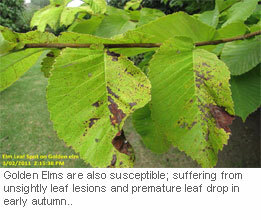 Avoid major leaf damage and serious overall decline in your elm tree – talk to Elmsavers about the best treatment at the right time for your trees. 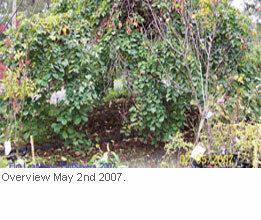 Tree Injection Trials on Giant Sequoia The main emphasis of these trials is on long term systemic control using chemistries that have a broad spectrum of activity.